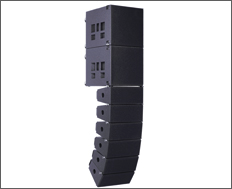 Welcome to KS Audio Professional Live PA Speaker Systems Line Arrays. KS line arrays set the bar for the ultimate in large venue sound systems. They are described as "bringing the recording studio to the stage" because of their absolute transparency and linear phase response. With the new AutoCurve remote-controlled, automated line array, KS Audio has brought a new innovation to live sound that changes the industry forever! 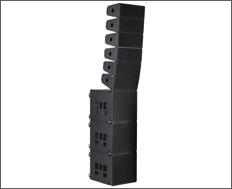 The CPD Line powered line array is powerful yet compact. With Firtec DSP inside, you have complete control over every parameter of your system. Massive sound, intricate control. 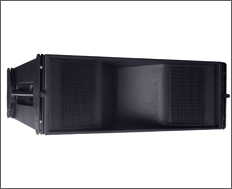 The AutoCurve automated line array system is the first of its kind in the world--a remote-controlled, automated line array with physical motors that change the angle of each speaker AND adjust the EQ/phase/output via Firtec DSP to compensate for those changes, in real time. This system changes everything! The C Line unpowered line array gives you the ultimate performance--massive power when adding a KS amp, and complete control via the FIRMOD2 digital controller. 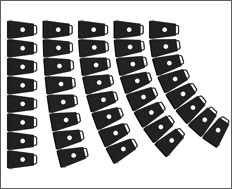 The T Line unpowered line array sets the standard for excellent sound reproduction in live venues. Again, with a KS amplifier and FIRMOD2 controller, you have complete control over every aspect of your signal.